Electric Light Orchestra (ELO) released eleven studio albums between 1971 and 1986 and another album in 2001. 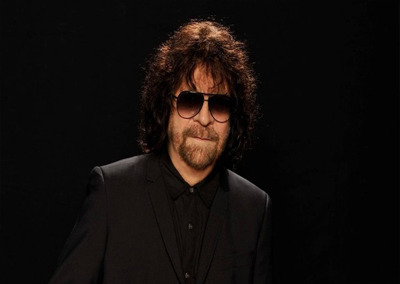 ELO was formed to accommodate Roy Wood’s and Jeff Lynne’s desire to create modern rock and pop songs with classical overtones. After Wood’s departure following the band’s debut record, Lynne wrote and arranged all of the group’s original compositions and produced every album. Despite early singles success in the United Kingdom, the band was initially more successful in the United States, billed as “The English guys with the big fiddles”. They gained a cult following despite lukewarm reviews back in their native United Kingdom. By the mid-1970s, they had become one of the biggest-selling acts in music. From 1972 to 1986, ELO accumulated 27 Top-40 hit singles in both the UK and the US, with 20 Top 20 UK singles and 15 Top-20 US singles. The band also holds the record for having the most Billboard Hot 100 Top 40 hits, 20, of any group in US chart history without ever having a number one single. 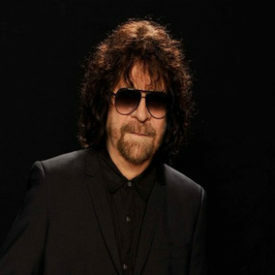 ELO sold over 50 million records worldwide during the group’s original 13 year period of active recording and touring. The success of the Children in Need gig was built on by BBC Radio 2’s DJ Chris Evans, who asked his listeners if they wanted a gig. The 50,000 tickets for the resulting BBC Radio 2’s “Festival in a Day” in Hyde Park on 14 September 2014 sold out in 15 minutes. Billed as “Jeff Lynne’s ELO”, Lynne and Tandy were backed by Take That/Gary Barlow’s band from the Children In Need gig and the BBC Concert Orchestra, whose leader Chereene Allen took to the front line with the band. The development of modern digital processing added a smoother finish than previously, which has led Lynne to reconsider his preference for studio work, hinting at a UK tour in 2015.